Swinburne University of Technology (often simply referred to as Swinburne) is an Australian public university of technology based in Melbourne, Victoria. Swinburne was founded in 1908 by the Honourable George Swinburne as the Eastern Suburbs Technical College. Its foundation campus is located in Hawthorn, a suburb of Melbourne which is located 7.5 km from the Melbourne CBD. In its first year, it enrolled 80 students in subjects including carpentry, plumbing and gas fitting. Today, Swinburne operates five campuses in two countries and has an enrolment of 60,000 students across vocational, undergraduate and postgraduate levels. 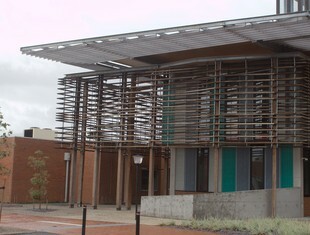 In addition to its main Hawthorn campus, Swinburne has campuses in the Melbourne metropolitan area at Prahran, Wantirna and Croydon. Swinburne also has a branch campus in Sarawak, Malaysia which it has operated in partnership with the Sarawak State Government since 2000. Internationally, Swinburne is ranked among the top 400 universities in the world by the Academic Ranking of World Universities and the Times Higher Education World University Rankings and in the top 500 universities in the world by the 2013 QS World University Rankings.